fishing | "Granny Beads and Grocery Store Feet"
Rest In Peace, Mr. DuPree . . . and thank you. Seventy years ago today, the Empire of Japan launched a successful sneak attack on the US Naval Station at Pearl Harbor in Hawaii. Most of us know the bare facts of the attack. 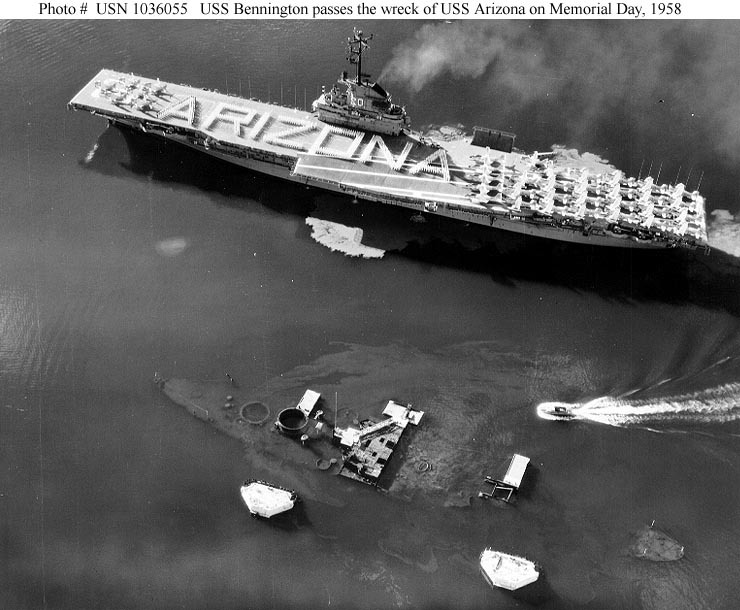 Most of us have heard of the USS Arizona and how she blew up at anchor from a well-placed bomb. Slightly over 2,400 servicemen and civilians were killed that day and the moment FDR had waited for — and some say helped orchestrate through intentional inaction — had arrived, America was entering World War II. 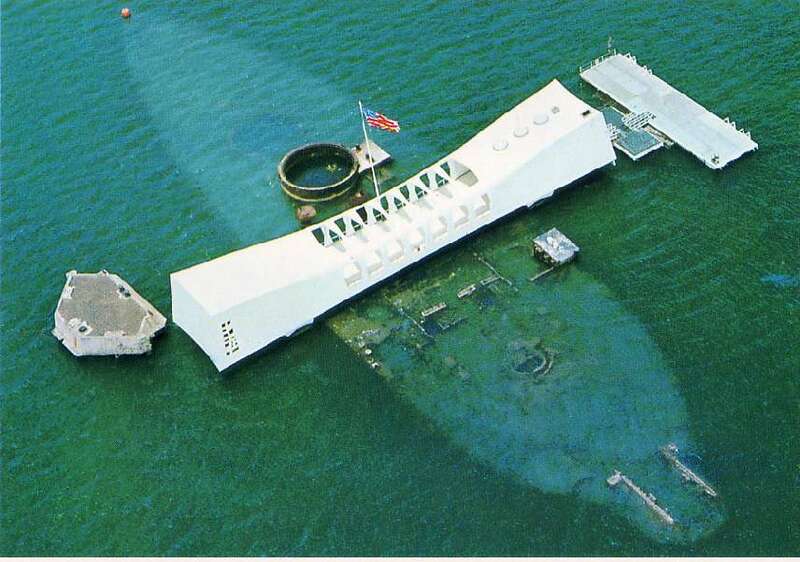 We were over two years late to the party, but once we got the blood out of our eyes from Pearl Harbor, we made a big entrance. As a young boy, I sat on a Coca-Cola crate in the back room of the Napa Auto Parts store where Papa Wham was the sole employee and listened as a group of older men lounging around on similar crates played checkers, told fish tales, and exchanged updates about their lives. These were members of America’s “Greatest Generation” who had grown up during the REAL Great Depression and who had marched off to battle in World War II. If I were quiet enough — difficult for me even then — so that the men forgot I was listening, I could get quite an education on some topics. The men who gathered in Papa’s back room often reminisced about their service during the war. If the story was deemed mostly harmless, I would be allowed to stay and listen. Most often, however, I would be asked to go on a Coke and crackers run. 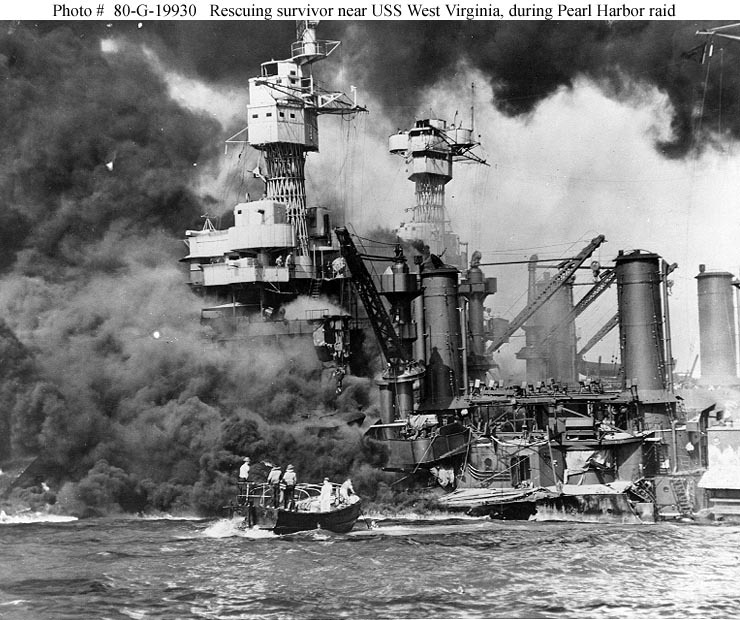 One time, however, Papa was asked to let me stay for the story and that is why I heard Mr. Dupree’s eyewitness recollection of December 7, 1941. Gump was a young sailor in the navy stationed at Pearl Harbor the day the Japanese attacked. Papa Wham had placed his hand on my shoulder as soon as Gump said, “Today’s ‘boom-boom’ day, boys” in his usual low, sad voice, “been a long time now.” The hand on my shoulder was my cue to go to the cash drawer, get a fiver and go to Alverson’s Drug Store for Cokes. This time though, Gump looked at Papa and I remember him saying, “Frank, let Shannon stay if you would. We’re getting old and someone needs to remember this.” I remember Papa nodded slowly then sat down on the crate next to me and whispered in my ear, “Don’t tell your grandmother, okay?” I nodded and turned to hear Gump tell this story. Please remember I was 8 years old at most and my memory is very good, but not perfect. It was Sunday, as you all know, and I was on my way to chapel walking along the shore next to Battleship Row. Mother had worried that I would take up a bad lifestyle in the navy and made me promise her to always go to church whenever I could. We had all heard rumors about a possible attack, but that’s all we figured they were. I was just glad to be in Hawaii. None of us figured we’d stay out of the war forever, but we all thought when it got started for us, it’d be over in Europe. So I had left the barracks about ten minutes before when I heard the first planes. I didn’t even look up because planes were always coming and going from the airfields around the islands. The first explosion knocked me over and that’s when the screaming and yelling started. I rolled over and looked up and saw the meatballs on the planes. The klaxon was sounding general quarters for the entire island. I wasn’t assigned to a ship because I hadn’t been there long enough. A marine sergeant grabbed my arm and pointed towards an AA machine gun. He and I jumped in with a couple other guys and started shooting at anything we could. I was scared shitless and was looking around everywhere. That’s when I saw some torpedo planes making runs at the battleships. You could see the fish in the water headed towards the ships. Everywhere up and down the harbor crews were trying to get the ships moving and trying to fight back at the same time. Didn’t do much good though. One of the torpedo planes strafed us after he made his run. We all ducked down but one guy took one of those bullets square in the chest. He exploded all over the rest of us. I had blood and pieces on me. Two of the other guys had some cuts from shrapnel. I just froze, but that old sergeant started slapping all of us around — we were a bunch of kids and God only knows how long he’d been in service — and yelling at us to get with it. He pushed the dead guy over to the side and got us all back up manning the gun. That’s when the entire world seemed to blow up and go silent at the same time. We all flew against the sides of the dugout and it kind of stunned us all, even the sergeant. When I stood up, I saw a big ball of fire where one of the ships had been. I found out later it was the Arizona. I couldn’t hear. I put my hand to my ear and came away with blood. Found out later my eardrums had blown out from the shockwave. The attack seemed to last forever. Planes were everywhere, bullets were everywhere. I saw several guys get shot down by strafers when they tried to run across the parade grounds. We couldn’t breathe from all the smoke and oil in the air. You couldn’t believe the smell. The smell was ungodly. Burning diesel oil, hot metal, burning skin. The burning skin was the worst. If you’ve ever singed your arm hair, multiply that about a million times. We stayed hunkered down in that dugout and shot back until we ran out of ammo. Once it was all over, the sergeant told us — we could hear just a little by then — to get back to our units. I got back to the barracks and it was still in one piece. We had muster to see who was still with us and who wasn’t accounted for. We were kinda lucky and kinda not. Once things started getting better organized, I was sent out with about six other guys in a small motor boat to search the harbor waters for survivors. We found a few, but mostly, we found parts. The whole time we still had that smell hanging over the water. I think didn’t sleep or eat for two days. Just went around trying to put out fires, help find people, stuff like that . . . it was bad, fellas. It was real bad. Gump’s voice caught a bit and Papa told me to “go get Gump a Coke.” I could hear the story of parts and gore, but Papa would spare Gump the indignity of a child seeing him shed tears. It was okay for the other men to watch, I guess. They had stories too. They understood. Mr. Dupree served with distinction in the Pacific Theater. I wish I could say his horror at Pearl Harbor was the worst thing to happen in his life, but that would be a lie. Gump’s life was filled with horror and tragedy even after he came home. When Papa and Granny built their home on Weathers Circle, Mr. and Mrs. Dupree lived across the street from them in a small, tidy white house. They had a son, Jack, who was about my daddy’s age, and had just had a baby. One of the neighborhood whispers was that Mrs. Dupree was “nervous” which was code back then for any mental illness from mild depression to schizophrenia. One night, Papa answered a frantic knock on the door to find Gump standing in his nightclothes covered in blood. He said Gump told him — rather calmly — to please call an ambulance, that his wife had “hurt herself.” As it turned out, his wife had taken a pistol and killed the baby in the crib, shot Jack where he lay in his bed, then shot Gump before putting the gun to her own head. I think she left a note saying she “wanted them all to be together forever” or something like that. Gump survived; so did Jack. I can’t imagine the psychological scars they both carried. By the time I knew him, Gump lived in a small mobile home in a grove of trees off McCarter Road between Fountain Inn and Greenpond. Jack had moved away by then. I don’t know if Gump had any grandchildren. I just know he loved fishing. He fished every day except Sunday. Rain or cold didn’t stop him. Looking back, I imagine that’s the way he coped with all he had been through. Mama said Gump was explaining some more things. That’s all she said. Love y’all. Remember those who have fallen.